Award winning food prepared by honored personnel. 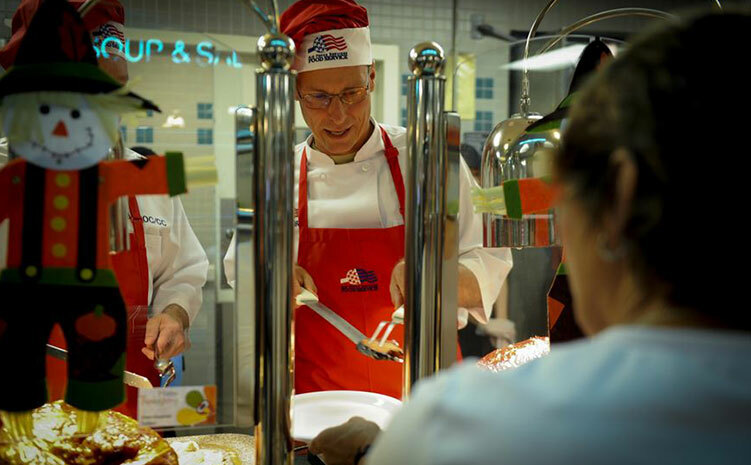 Military members dining at Hurlburt Field are treated to award winning food prepared by honored personnel. The John L. Hennessy Award for excellence in food service was bestowed upon the staff at Hurlburt in '97, '98, '99, '01, ’05, ’11, '12, ‘14 and '15. 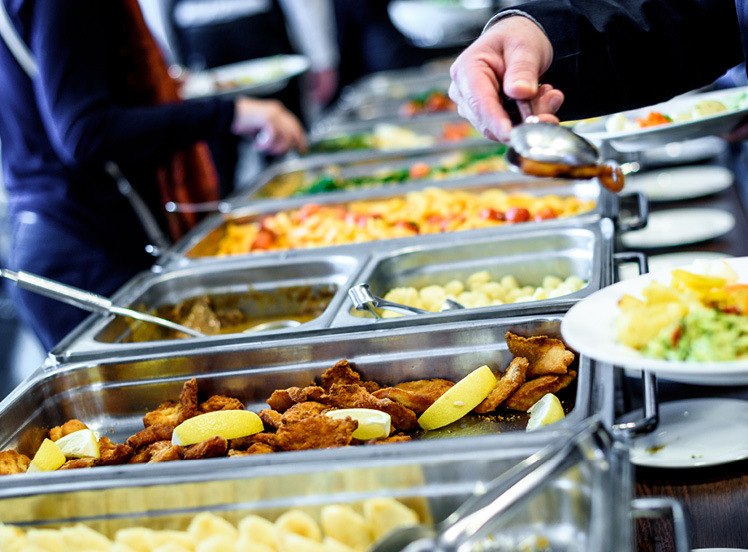 Hurlburt Dining Facilities believe a team dedicated to excellence can achieve amazing results! We offer two top-notch facilities: The Reef and the Riptide Dining Facilities both serve a wide range of A' La Carte menu options. We also have a Flight Kitchen which is collocated with the Riptide, serving Flight/Ground meals available to our customers 24/7. 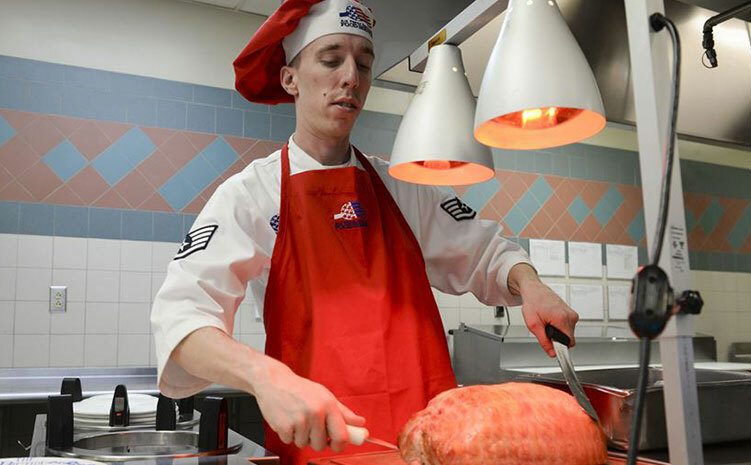 The Reef dining facility is located on the west side of base and is a state-of-the-art military dining operation that serves a wide variety of a’la carte menu choices, including main entrees, short order, deli bar, soups and salads seven days a week. Take-out meals are NOT available at this dining facility. The Riptide is a multi-purpose dining and fitness facility that offers a state-of-the-art equipment to further the Air Force mission of excellence in health, fitness and nutrition. Now offering the Riptide Bakery! Cookies, cakes, pies and cobbler! View today's selections beyond the counter on the right.